Cost of your round trip economy class air ticket with airline taxes valid for the duration of the tour. Cost of your visa and airline taxes. Services of our Tour Manager (Provided there are over 20 adult passengers traveling on the tour) or our local representative will be present. Meals, coach tours, transfers, entrance fees, sightseeing & surface transportation as mentioned in the itinerary. Cost of Travel Insurance valid for the duration of the tour.Any increase in the Airfare / Airline Taxes / Visa fees fuel supplement charged by the airlines. Porterage, tips, insurance, laundry, wines, mineral water, telephone charges, suggested excursions and all items of personal nature and also food and drinks not forming part of the group menus. Tips of AUD 2 per person per day and NZD 2 per person per day to be paid compulsory. Anything not mentioned in Inclusions coloumn. On arrival at Brisbane International Airport, we drive to Gold Coast and check into Hotel as per standard check in time of hotels (1500 hours).Overnight at the hotel in Gold Coast. Today, we take you to Currumbin Wildlife Sanctuary which provides a rare opportunity to see and experience our amazing native wildlife. A place where you can enjoy exciting, interactive displays, presentations and dining experiences. Nestled within 27 hectares of lush eucalypt and rainforest, each day brings visitors face to face with extraordinary wildlife in shows and encounters. Later, we proceed to ‘Movie World’, also called ‘Hollywood on the Gold Coast’. It is a fabulous extension of a fully operational movie studio. From out of this world and beyond the darkness enjoy Batwing Spaceshot, the latest thrill ride attraction. And for the ones who love speed - Superman Escape is an unprecedented Roller Coaster Ride experience which travels 0 - 100 km in just 2 seconds! Overnight at the hotel in Gold Coast. Today we visit Australia’s favourite family theme park ‘Dreamworld’, home to Tiger Island, Nick Central, The Australian Wildlife. Experience, Wiggles World, Big Brother, FlowRider and some of the tallest, fastest thrill rides in the world, Dreamworld is the ultimate place for family fun. Today, we check out of the hotel and drive to the airport for our flight to Cairns. Welcome to Cairns, a living museum of Australia. On arrival we proceed to Kuranda, a village in the rainforest on a Skyrail. Gliding just metres above the rainforest canopy in comfortable six-person gondola cabins, the Skyrail journey of 7.5 kms immerses you in an intimate rainforest experience where you’ll see, hear, smell and become part of the tropical rainforest environment. Later, check into your hotel. Overnight at the hotel in Cairns. Today, we take you on a cruise to the Great Barrier Reef, one of the natural wonders of the world. The expanse of 2000 km of Coral Reef, makes it the largest of its kind in the world. See the brilliant colors and fascinating life forms of the World Heritage Great Barrier Reef, as you glide in your Semi-Submersible. Overnight at the hotel in Cairns. Today, we drive to the airport for our flight to Sydney. On arrival we check into the hotel (check in time is after 1400 hrs). 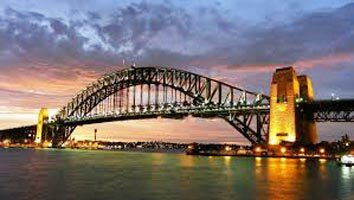 The day is free to explore Sydney on your own whereas you can meet your relatives or spend time for shopping. Overnight at the hotel in Sydney. Today, we take you on a city tour of Sydney. We start our day with a guided tour of the world famous, uniquely designed Opera House. See inside the world’s most recognizable sails. The Opera house is an architectural masterpiece. Later, we drive to see the Harbour Bridge, the Rocks, Mrs. Macquarie’s Chair and Hyde Park. We stop at Darling Harbour, one of Australia’s major attractions. 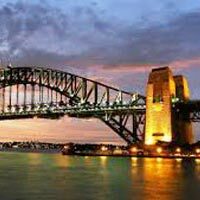 Visit the famous Sydney Tower. We take you to visit the newest attraction in Sydney the Madame Tussauds. Experience a unique line-up of celebrities already featured at Madame Tussauds Sydney including Captain Cook, Sir Donald Bradman, Albert Einstein, Nicole Kidman, Hugh Jackman, Johnny Depp, Lady Gaga and Amitabh Bachchan.Overnight at the hotel in Sydney. Today we check out and drive to the airport for your flight to New Zealand. Upon arrival into Queenstown, our local driver will be waiting outside the custom area to welcome you and take you to the hotel. The rest of the day is free for leisure.Overnight at your hotel in Queenstown. Today, we take you on a tour of Queenstown. Visit Arrowtown where you can leisurely browse through the shops for a wide range of New Zealand made merchandise. Later, enjoy a gondola ride to Bob’s Peak for a stunning view of Queenstown. Marvel at the stunning views as you ride the Skyline Queenstown Gondola - the steepest cable car lift in the Southern Hemisphere. Sit back and relax as the best views in the region unfold before your eyes and the Gondola carries you 450 metres above Queenstown and Lake Wakatipu to the top of Bob’s Peak.Rest of the day is free to enjoy the activities of Queenstown on your own. Overnight at your hotel in Queenstown. Today after having breakfast at hotel gear up to enjoy Full day excursion to Milford Sound. We proceed through the lush beech forests of Eglington Valley. Here we board our enchanting cruise (weather permitting) and enjoy the fjordland scenery. Situated on the west coast of the South Island, Milford Sound is a fusion of spectacular natural features with amazing visual cues around every corner. Later, we drive back to Queenstown.Overnight at the hotel in Queenstown. Today, we check out and proceed to Christchurch. We pass through Mt. Cook National Park and stop for a photo opportunity at The church of Good Shepherd and Lake Tekapo. The beautiful Church of the Good Shepherd, where the altar window frames a perfect view of the Southern Alps beyond the lake. The church is located only metres from the teal blue waters of the lake and provides spectacular views that are remembered by visitors for the rest of their lives. We continue our journey to Christchurch. On arrival in Christchurch - ‘The Garden City’ we proceed on a Panoramic City Tour. Drive past the city’s parks and gardens. See the Gothicstyle University building. Overnight at your hotel in Christchurch. Today, we check out of the hotel and drive to the airport to take our flight to Rotorua. “Kia Ora”, Welcome to Rotorua. On arrival we take you on a visit to Agrodome and Sheep Shearing Show. The World Famous Agrodome is a must see for any visitor to Rotorua and New Zealand. Home to the multi award winning Agrodome show - an exciting and informative insight into the world of New Zealand agriculture, featuring 19 breeds of sheep. We later visit to Te Puia Thermal Reserve, world famous for the ‘healing waters’ of its thermal spas. It’s fascinating to see the range of thermal activity going on in the valley and quite a sensory experience. Steam creeps out of fine cracks in the rocks everywhere, and it winds around stubby little manuka shrubs perched perilously on ledges For our final sightseeing of this day, we visit a Maori Village. Meet the colorful Maori people and learn about their culture. Overnight at your hotel in Rotorua. Today, the day is free OR you can take the suggested full day excursion to White Island. It is one of the most fascinating and accessible volcanoes on earth. The volcano is estimated to be between 100,000 and 200,000 years old. However, the small portion of the island that is visible above sea level has been in its present form for an estimated 16,000 years. Later board the cruise back to Whakatane and then return to your hotel. Overnight at your hotel in Rotorua. Today, we check out and drive to Auckland. Enroute we visit Waitomo caves. Take a boat ride on the underground river and visit the Glowworm Grotto. As your boat glides through the darkness, thousands of tiny glowworms light up the cave to give you an unforgettable experience. On arrival, we take you on a panaromic city tour. See the Harbour Bridge, Auckland domain, Queen street and City centre. Imagine an urban environment where everyone lives within half an hour of beautiful beaches, hiking trails and a dozen enchanting holiday islands. Add a sunny climate, a background rhythm of Polynesian culture and a passion for outstanding food, wine and shopping, and you’re beginning to get the picture of Auckland. Overnight at the hotel in Auckland. Today, after breakfast your ‘Amazing Australia with New Zealand tour ends as you check out of the hotel. Its time to say goodbye to all the new friends you have made. We would like you to spare a few minutes of your time to write and tell us how you enjoyed your tour and any suggestions you may have for the future. Any increase in the Airfare / Airline Taxes / Visa fees fuel supplement charged by the airlines.